Providing four-point inspections on every customer call, A B Appliance Services is your Woodlands-area answer to first-rate appliance repair. With 20-plus years of experience working on major residential brands, we’re the name to know for refrigerator repair, washing machine repair, dryer repair, and more. We even refurbish and sell used appliances to help you save a bundle! Call on Wednesdays for our 10% Senior Citizen discount! When your refrigerator or dryer is on the blink, what do you look for most in an appliance repair provider: quality workmanship, quick turnaround, or how about a commitment to top-notch customer care? Well, thanks to A B Appliance Services, you don’t have to single out any one priority: We excel at all three! From our direct and in-depth knowledge gleaned from 30 years in the industry to our swift and honest handling of your major appliance repairs, you can rely on our team to cover your every concern. So whether you need washing machine repair tomorrow for a unit that won’t drain or refrigerator repair on the double to rescue a week’s worth of food when your fridge won't cool, leave it to our skilled technicians to keep your household running smoothly. Contact us today over the phone or online to get started on your appliance repair! Nothing sabotages your schedule worse than a broken-down home appliance. 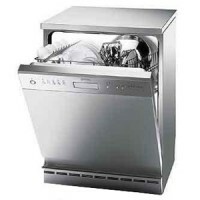 So when time and accuracy are of the essence, call in the appliance repair specialists from A B Appliance Services. Founded in 2009, our local, family-owned company takes great pride in providing a complete, four-point inspection with each and every service call we make. That way, on top of assisting you with skilled dryer repair, oven repair, or dishwasher repair, we can go one step further and actually educate you about why your appliance failed in the first place and how you can prevent the problem from happening again. 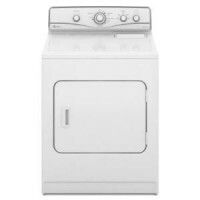 Located in Oak Ridge North, A B Appliance Services specializes in gas and electric appliance repairs for Maytag and Whirlpool products. We’re also trained to perform refrigerator repair, washing machine repair, and more for most of today’s major manufacturers, from Admiral and Amana to Kenmore and KitchenAid. If you’re on the lookout for appliance repair and you’re not sure where to turn, our knowledgeable and friendly technicians are only a phone call away. We cater to customers in all corners of the Woodlands area north of Route 10, including the nearby residents of Houston, Kingwood, Conroe, Aldine, Atascocita, Tomball, Cypress, Jersey Village, Porter, Spring, Magnolia, and Willis. 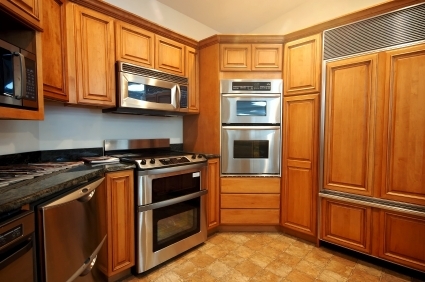 In addition to prompt and professional appliance repair, A B Appliance Services offers quality used appliances for sale. When it’s time to replace one of your old or worn-out kitchen or laundry machines, why not consider a used appliance instead of buying brand new? For many homeowners on a tight budget, used refrigerators and other refurbished appliances can last for years and help you save hundreds on the cost of appliance replacement. 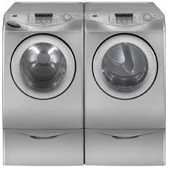 To inquire about our inventory of used appliances, simply give us a call. We’d be happy to update you on our current stock of discount appliances right over the phone. So don’t take a chance on amateur handiwork or rushed appliance repairs. For thorough and punctual craftsmanship based on three decades in the business, pick up the phone now and call A B Appliance Services. You don’t have to sacrifice speed to ensure expert and trustworthy appliance repairs. You just have to put in our number and call. A B Appliance Services is open every day but Sunday for your residential appliance repairs, including dishwasher repair, oven repair, dryer repair, and more. We also offer emergency services for your most critical appliance repair needs, along with 30-day warranties on labor and 90-day warranties on parts. 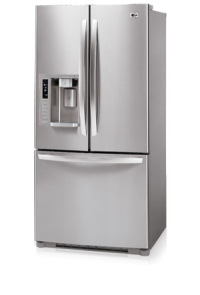 For your added assurance, A B Appliance Services is fully insured, as well as EPA-certified for refrigerator repair. We’re also certified by both the North American Retail Dealers Association (NARDA) and the Association of Home Appliances Manufacturers (AHAM), two of the leading trade organizations of the home appliance industry. Reach us by phone or e-mail today! At this time, A B Appliance Services does not provide repairs for Bosch, Viking, or Sub-Zero products. We apologize for any inconvenience.